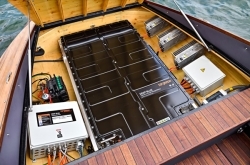 Torqeedo has signed a supplier agreement with BMW to offer the German auto maker’s high-capacity BMW i3 battery technology for boats. The BMW i3 battery has been adapted to work with Deep Blue, Torqeedo’s most powerful solution for inboard, outboard and hybrid systems up to 160hp. 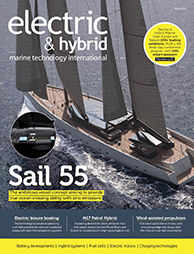 According to the company, the first vessels equipped with BMW i batteries are already in operation or are close to completion, including motor boats, sailing yachts and commercial marine applications such as water taxis. “BMW i batteries are a model of exceptional reliability and performance in electric mobility. They allow us to deliver cutting-edge electric propulsion and integrated energy management for recreational and commercial applications,” said Christoph Ballin, co-founder and CEO of Torqeedo.